The cruise ship Pacific Princess collided with breakwater while maneuvering to enter in Port of Nice, France. The accident happened in bad weather and strong winds with power of 45 knots, which pushed the vessel over the breakwater. The collision cause large breaches of the cruise ship’s hull and water ingress inside some compartments. The vessel remained afloat and succeeded to dock at Nice, but crew was forced to close some watertight doors to prevent the inflow of sea water from flooding further compartments. The accident was reported to local authorities and was requested assistance with putting the situation under control. The crew and firefighters are working at the problem with cruise ship, trying to patch the breaches and stop the water ingress. Divers were sent to inspect the underwater part of the hull for additional damages during the collision. Fortunately during the accident there were no reported injuries among the 669 guests and 382 crew members. Most of the people went ashore on excursions during the free day in Nice. 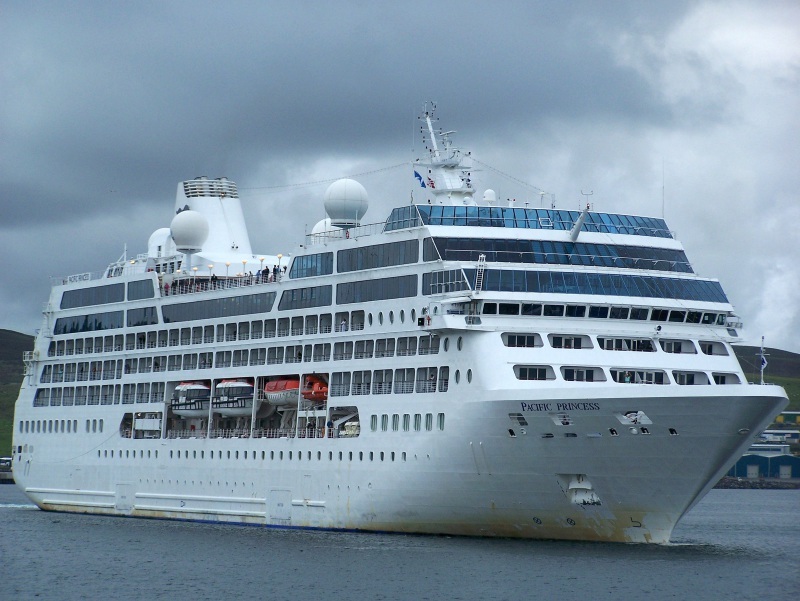 The ship Pacific Princess was scheduled to leave Nice on voyage to Barcelona, but cancelled the next cruises until further repairs and special survey. The passengers got provided the required transportation and lodging so they may proceed with their original onward travel arrangements. 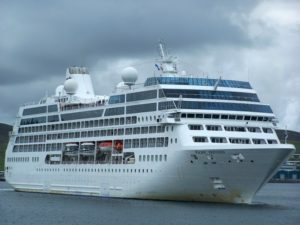 The cruise ship Pacific Princess (IMO: 9187887) has overall length of 180.00 m, moulded beam of 26.00 m and maximum draft of 7.50 m. The deadweight of the vessel is 2,700 DWT and the gross tonnage is 30,277 GRT. The ship was built in 1999 by Chantiers de l’Atlantique in shipyard in St Nazaire, France. I was a passenger on the Pacific Princess during this event and I have to say that the Captain and crew (and Princess) handled the situation wonderfully. We were kept informed, were well treated (lovely hotels in both Nice and Barcelona) and were more than adequately compensated. I wonder if there was any action taken against the captain — I hope not, because I think he did an outstanding job. I’m already booked on my next Princess cruise on this same ship.